There are a number of alternatives for a client who is having fee problems with a lawyer. Client asks how much lawyers charge or how much a particular service costs. Client is unhappy with the fees charged by a lawyer and wants to know if there is anything that can be done. Client wants to know if there is a defence to a lawyer suing the client for fees. Hourly rate: Rates vary considerably depending on factors such as level of lawyer experience and complexity of a case. Flat rate: Lawyers may quote a flat rate for a particular service, such as a will or conveyance. Contingency fees: This is when the lawyer’s fee is based on a percentage of the money recovered in a legal action. Percentages vary, depending on several factors, but may range anywhere between 15% and 40%. Fee payment arrangements vary, depending on factors such as the type of case. In many instances, a lawyer asks for a retainer — a sum of money up front to cover fees for services as they are performed. The lawyer must keep that money in a separate bank account, called a “trust account”, until the services have been performed and a bill has been sent to the client. In addition to fees, lawyers charge clients for any disbursements incurred. Disbursements are payments made on behalf of the client and can range from court filing fees to medical reports. The Law Society of BC emphasizes that lawyers must communicate properly with clients about fees. Lawyers should be clear about fees when they agree to act for a client, and should keep the client informed of both file and fee developments. Advocates can propose a number of alternatives to a client who is having fee problems with a lawyer. The first is simply to have the client contact the lawyer to discuss the fee. There may have been a misunderstanding between the parties that direct communication can clear up. The lawyer may be unaware that the client is unhappy with a fee. It is preferable for the client to discuss the fee directly with the lawyer after receiving advice from an advocate. However, advocates may wish to approach the lawyer directly, with the client’s permission, to at least promote a direct discussion about the fee. There are also more formal mechanisms to resolve fee disputes. Either the lawyer or the client can ask the Law Society to appoint a fee mediator under the Fee Mediation Program. If both sides agree, the mediator will meet with the parties or may deal with the matter in writing. Note that a mediator’s role is to help both parties come to an agreement — they have no power to make a decision. The parties may also opt to resolve the matter in court. Usually the lawyer begins the action to collect an unpaid fee. If the fee is less than $35,000, the lawyer will probably sue in Small Claims Court. Larger amounts are handled in Supreme Court. the amount of time reasonably spent on the file. There is a deadline to apply for fee review. If the client has already paid the lawyer’s bill, an application for a fee review must be filed within three months of payment. 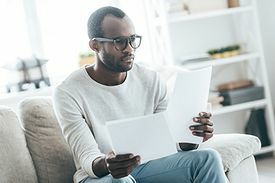 If the bill has not yet been paid, the deadline to apply for a fee review is within 12 months of the delivery of the lawyer's bill. An application cannot be filed after those dates unless the registrar agrees there are "special circumstances" in the case. This page was last edited on 13 October 2018, at 08:51.